It has been said numerous times that the memories that you make at camp can last a lifetime. While this has been the case for all of the campers that have been able to join us in recent years, it even holds true for those that have been away for some time, including our own New Hampshire Governor Chris Sununu. In the June issue of NH Magazine, Gov. 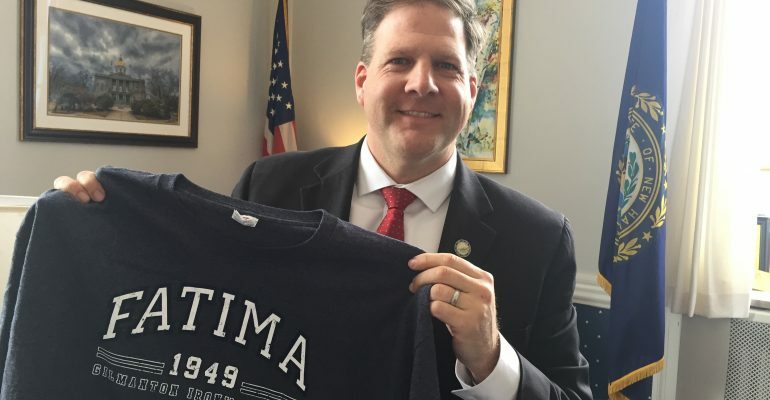 Sununu reflects on how Fatima helped to build his love for hiking and even about his phase of spiking his hair a little bit before Bernie/Fatima days. To read the full article, click here. Spring is here and camp is officially right around the corner! Our camp staffs are gearing up for summer and are busy putting together a full slate of activities and events for when campers finally move in. An old tradition, last seen in 1990 returns to Fatima Session 2 2018. 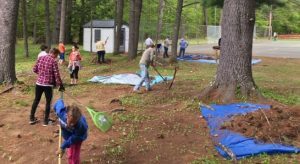 On Saturday May 19th, a group of volunteers from the Knights of Columbus, EC Week, camp alumni, and St. Katharine Drexel Parish in Alton, NH came to Fatima for the day to help with a variety of projects to get camp ready for the start of summer. From moving boats, to cleaning buildings to clearing brush, they did a fantastic job and got camp looking in great shape. Thanks for all of your hard work! 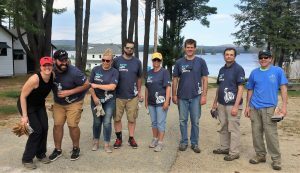 In addition to all of the volunteer work done at Fatima, we were also lucky enough to have a group of volunteers from Liberty Mutual come by Bernadette for the day on May 10th to help clear brush all around camp. With all of the wind we had at camp this fall, they had their work cut out for them, but they were a great help and I’m sure camp will be looking great when campers arrive just a few short weeks. May 5th and 6th we enjoyed another successful Open House at Bernadette and Fatima! Thank you to all of the staff, alumni, C.I.Ts, and even returning campers that volunteered their weekend to welcome new families to camp, show them around, and answer their questions. 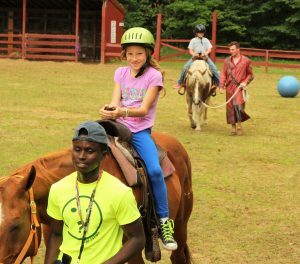 We are happy to announce that the horse program will once again be returning to camp this summer. We are excited to have Liam Sharkey as our Equestion Director. In addition, we are excited to welcome Miguel Angel Rodenas to our camp family, as he will be working closely with the horse program. He brings years of experience working with horses, along with a passion for working with children and will be a great resource in continuing to build our horse program at camp. 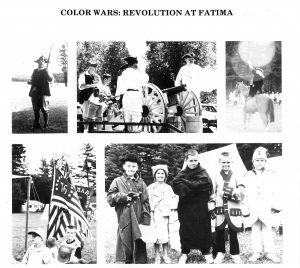 While the horses live at Fatima, this is a program that is open to both Fatima and Bernadette campers. Counselors Claude and Declan lead campers around the corral. Declan (back, still in costume) took a quick break from his role as “Star Lord” during our Guardians of the Galaxy Color War to help out. This summer we are also excited to announce the addition of a fourth horse to camp. This will help to allow more campers to get the opportunity to ride, and also to get in longer rides on the horses. If your child would like to participate in the horse program, please log in to your account on our site and submit an online horse program waiver. If you have friends who still may be interested in attending this summer, please consider emailing this referral form to Brendan Stackhouse at brendan@bfcamp.com or contacting the camp office about remaining summer 2018 availability.